The dynamic range of class offered include, general, family, adult, children, private and specialised tournament classes. 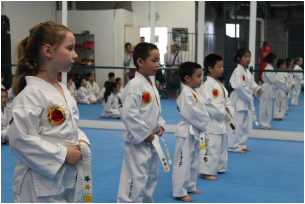 The large scope of classes in Tam Taekwon-Do Mudokwan are tailor made to suit each individuals needs. The school is open to all ages, gender, abilities and experience. Which class is best suited for me? This decision can only be made by you. All new enrolments are more than welcome for a free visit and trial lesson, this enables you make the most suitable choice in the wide varieties of classes offered.